Jennae is using Smore newsletters to spread the word online. Depending on the number of orders or total dollars in sales volume you bank this month, you'll earn a cash reward. 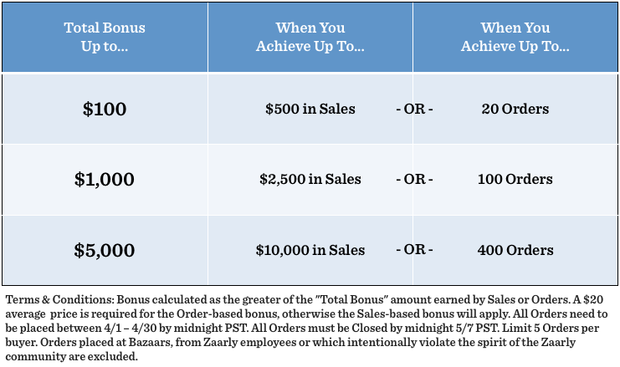 Let's say you end April with $2,100 in Sales and 75 Orders.